Egypt. The Land of the Pharaohs and one of the world's greatest civilizations, with its temples, hieroglyphs, mummies and pyramids. It is filled with iconic landmarks and remarkable landscapes. It has a rich history, strong culture and it boasts world class diving, incredible beaches and exciting nightlife. Egypt really does have it all. This Egypt travel guide will help you plan your next vacation. Egypt has a reasonably modern telephone service including three GSM mobile service providers: Mobinil, Vodafone and Etisalat. It is possible to purchase tourist mobile phone lines for your trip, which usually will cost around 30 EGP. Random fact: More than 90% of Egypt consists of desert! 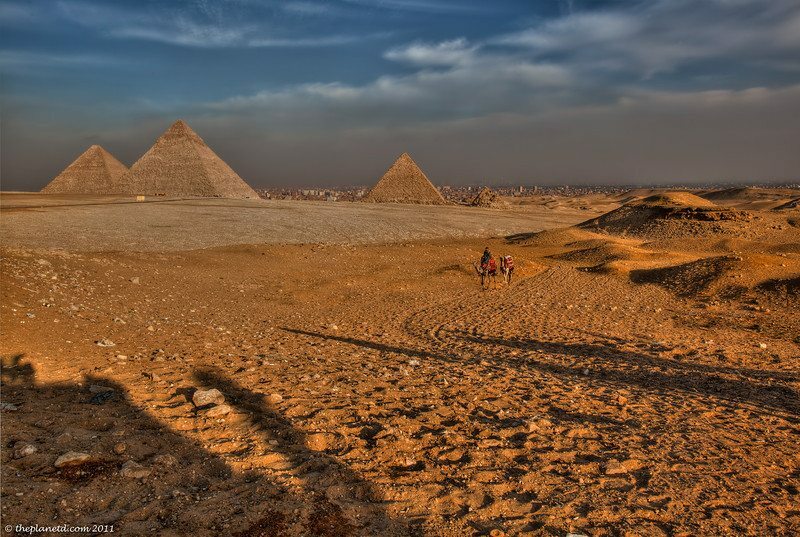 Egypt has a hot desert climate that is generally dry. The most moderate temperatures can be found near the thin coastal strip in the north and November through March are considered the most comfortable months to travel. Although temperatures can reach up to 40 degree Celsius travelers must remember that Egypt is a rather conservative country and therefore it is wise to pack accordingly. Avoid packing skirts or shorts – instead invest in a good pair of long pants made from a breathable fabric like linen. Scarves or a light sweater – short sleeve tops and sleeveless tops are acceptable for women visiting tourist areas, however it is recommended that travelers carry around a scarf or light sweater to cover up when traveling to and from tourist destinations. Protection from the sun – the sun can get extremely hot in the summer months so make sure to pack sunscreen, a sturdy had and a good pair of sunglasses. Walking shoes – Egypt is a sightseeing country and travelers do a lot of walking. Make sure you bring a comfortable pair of shoes that you have already broken in and leave the flip flops at home. Check out our Packing List for more ideas on what to bring with you. 5 Egyptian Adventures You Don't Want to Miss – from the Luxor Temple to the Valley of the Kings, the PlanetD has got you covered on the top Egyptian excursions. Scuba dive in the Red Sea – Egypt has some of the best diving in the world where avid scuba divers can get up close and personal with hammerhead sharks, colorful coral and wrecks. A Street Car named Alexandria – the pyramids and tombs aren't the only ancient monuments in Egypt, the trolleys of Alexandria are one of the country's historical treasures, dating back to 1860. Explore Egypt's Red Pyramid, Inside and Out – The Red Pyramid is the 4th largest pyramid in all of Egypt and is located just 40 km outside of Cairo. Visit the White Desert – this national park is best known for its chalk rock formations that look strikingly like snow strewn across the desert.